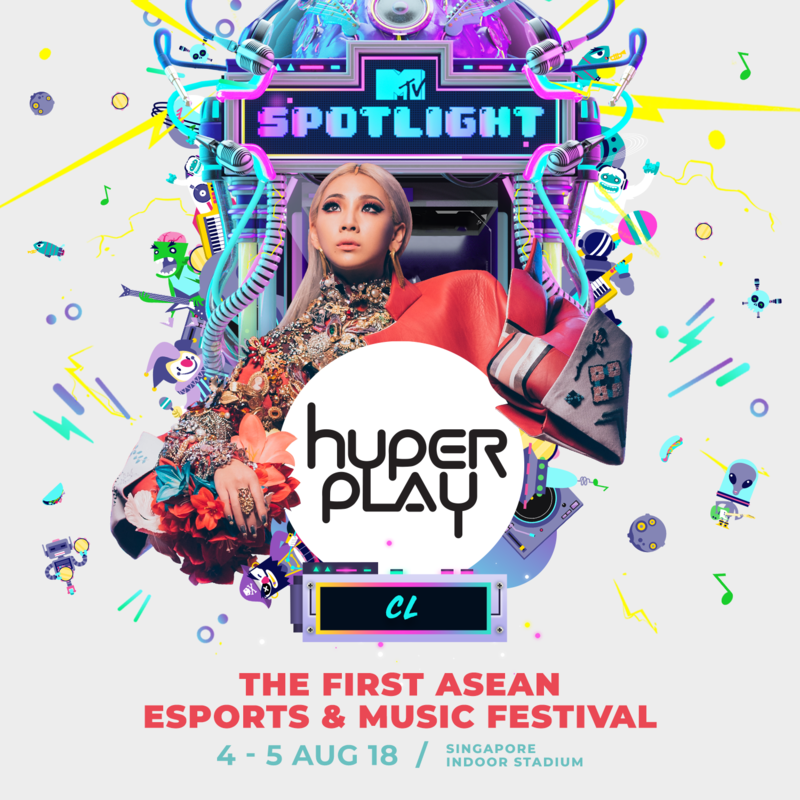 Hyperplay has revealed its first wave of performers for MTV Spotlight @ Hyperplay with South Korea's superstar vocalist and rapper CL, Thailand's leading rock band Slot Machine, Indonesian idol Afgan and Singapore's favourite The Sam Willows. Hyperplay, the first integrated ASEAN esports and music festival, is set to feature MTV Spotlight, which brings multi-genre talents onto a single stage at different times during Hyperplay. The two-day ticketed event will take place at the Singapore Indoor Stadium on 4th Aug 2018 & 5th Aug 2018. Fans can get direct information and news updates by following Hyperplay on Facebook.